I Thought Trunk Flexion was Bad? I was sitting down the other day writing some programs out and got to thinking, which is usually dangerous. Fortunately, my head didn’t explode. Instead, I was thinking about how I like to program–balanced. For a general population, I’ll make sure to keep the pushes and pulls pretty even, accounting for volume and intensity. The knee dominant and hip dominant variety also remains pretty equal. Of course we have to take into account how the individual presented in the assessment piece, but keeping things simple, that’s how it generally looks. If I see an individual come in with downwardly rotated shoulders that are painful or not painful (without going into the physical therapy), I’ll start thinking that giving that individual some exercises to encourage upward rotation would be a good thing so that I can get them back to neutral. Bottom line: if I can keep opposition/apposition balanced, things will be all good. Now, let’s cannonball right into this rabbit hole. Think about all those hip hinge and knee dominant exercises, those bench presses and those rowing patterns. We are just encouraging extension. Even if you consider the corrective exercises that you may or may not sprinkle into the program, extension of some sort…usually. In fact, trunk flexion has such a negative stigma attached to it. It was a witch hunt for a while I think. Who doesn’t love deadlifts? They’re tremendously basic, reinforce movement patterns for the future for jumping or olympic lifting. Conventional, sumo, RDL, trap bar, single leg–so much variety. But, they’re still extension in it’s most basic form. So now what, just do crunches? Not exactly. We can still think smarter when it comes to this whole flexion thing. Taken straight from the “smarter people than me” playbook, the reverse crunch. Here you are getting some external oblique (because of the line of pull), rectus abdominus, and of course transverse abdominus. We can further challenge the exercise by getting rid of the wall or weight to hold on. Those pesky internal obliques are left out which is something beyond the scope of this article. This is just one option. There are a number of different exercises you can place in here to combat the constant stress of extension. Besides having it packed, I was also sent a text message with “how to” instructions as well as the health benefits. It was really easy to eat believe it or not. Cut it in half and take apart chunks whenever you want a new piece, it basically pulls apart into nice chunks. Don’t eat the seeds. Enjoy. This banana/coconut tasting fruit is high in Vitamin C as well as a number of B vitamins. It has a fair amount of iron, and since it is a fruit, a good amount of fiber. It apparently has more mineral weight compared to other fruits containing copper, magnesium, potassium, and manganese. Bottom line, it is quick and easy to eat, tastes great, and is apparently pretty good for you too. Bring a napkin and something to spit the seeds into. I didn’t eat the skin, and didn’t see anything saying you couldn’t but since it reminded me of dragon skin I felt it was better not to. I haven’t thought of putting a cherimoya into anything as far as recipes go. If anyone else has insight please share. Almost everyone I see is tremendously weak here. It becomes even more clear when you ask someone to perform a simple push up. They literally just hang on the ligaments of the spine. How have you made it this far in life without learning how to perform a proper push up??? When I say anterior core, I’m referring to the portion known anatomically as rectus abdominus. Fancy latin. It connects the front portion of the ribs to the pelvis and when contracting forces the hips into a posterior pelvic tilt. Not always great to be in that position, but with proper opposition/apposition it is fairly balanced to our normal 13 degrees of anterior pelvic tilt. When this is weak, you see a lot of extra anterior pelvic tilt. Your body just hangs out on whatever it knows will create stability…ligaments of your hips and spine. Is it any wonder that we have soo much low back pain!? Strengthen the abs, it will help create stability. It isn’t the only answer as there are a few other abdominal muscles that are needed to help create that apposition we are looking for (different topic for a different day). This is something that we work on almost every day in the facility. 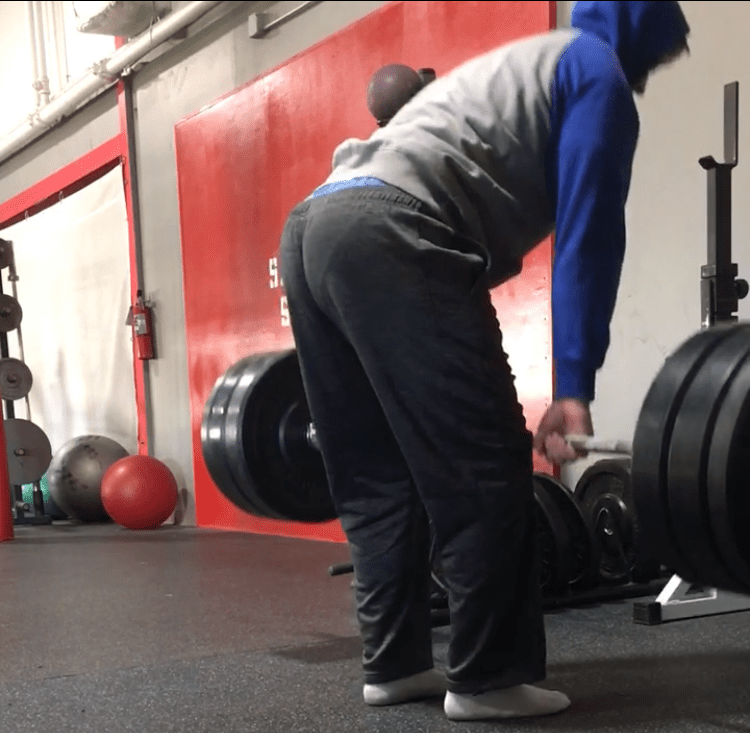 To create almost all athletic motion, you need the glutes. When developed, they can also have an aesthetic side to them too. Glutes are great players in power, stability, multi direction motion. We all have a gluteus maximus, gluteus medius, and gluteus minimus. The hip joint (where the femur articulates with the acetabulum of the pelvis) also has a great deal of mobility, three planes actually. Contracting here will create an external rotation element on the femur (thigh) as well as an extension moment. It can create stability to the pelvis in a closed chain contraction taking shear off the low back. And it gives us great power and push off in the sagittal, frontal, and transverse planes of motion. The right side is usually a little weaker, again, different conversation for a different day. This is anecdotal at best on my part. When we screen our athletes and adults though, we see this to be consistent across the board. Maybe it is indigenous to the Merrimack Valley, but I highly doubt it. Let me know what you think by leaving a reply below.